"Glory to God in the highest heaven, and on earth peace to those on whom his favor rests." What an incredible night! The shepherds, watching their flocks by night, have just been visited by an angel telling them of wonderful news in Bethlehem. "Let's go to Bethlehem and see this thing that has happened, which the Lord has told us about," they say, and off they go to meet the newborn King. But oh no, a group of little lambs had wandered off while this was happening, and when they return, they find that no one is there. Where did everyone go? Why did they leave so suddenly? What will they do?? The little lambs (named Billy, Bobby, Bahbra, Becky, Ben, and... Helen) are alone, lost, and afraid. However, they also sense that something wonderful must be happening. They can feel it. And that big bright star in the East just has to be leading them somewhere. So, off they go, in search of their shepherds and flock. Along the way, they will discover just how important this night really is. They will find their way to a very special manger in Bethlehem. 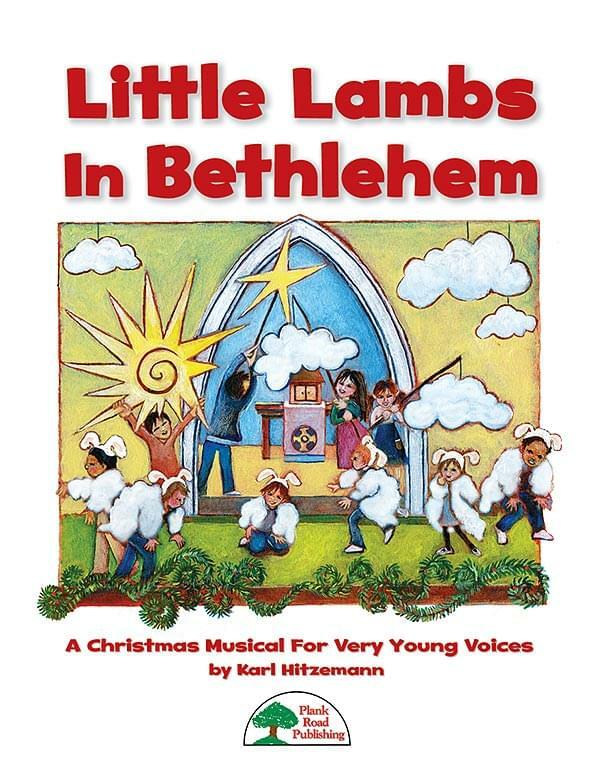 Little Lambs In Bethlehem delivers the message of Christ's birth in the most humble and innocent of ways. It's light and simple and even a little silly at times (whenever the lambs say a word that starts with a "B," they start it with a "Bah"). But the message is pure and very powerful. It will be equally meaningful to your congregation or audience and your performers. The simple script and short, easy-to-remember songs are specially written for young children to learn and sing. Time and budget-saving ideas for settings, costumes, and props are also provided to help enhance your production. Though the program is brief – approximately 15 minutes – the heartfelt message will last a lifetime. The Director's Handbook comes with everything you will need for a successful production, including a reproducible program cover and poster and a well-thought-out set of staging suggestions. And while there are reproducible Singer's Parts included in the handbook, we also provide reasonably priced, pre-printed Singer's Editions to save time. Both Print and Downloadable. Download is 106.5MB.